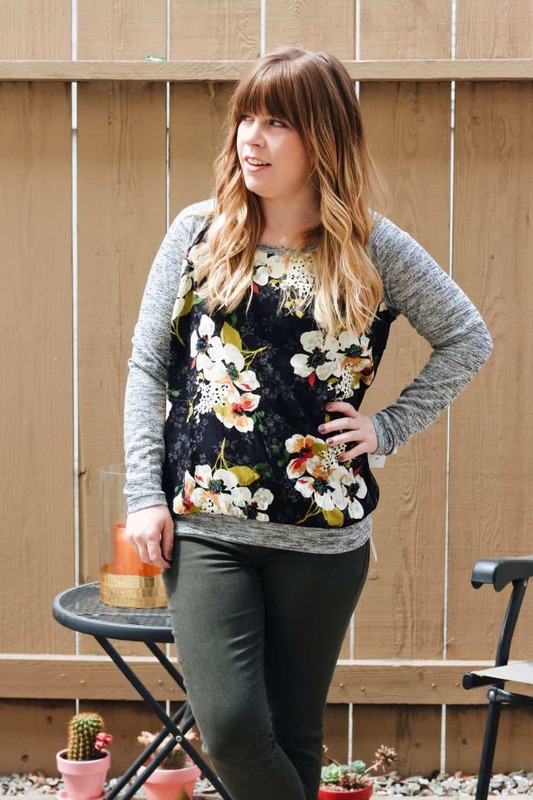 It’s been a minute (more like an entire year) since I have posted a Stitch Fix reveal on the blog. It stems from taking a break from buying clothes. I wouldn’t say that it was frivolous spending, but the clothes were adding up in my closet. 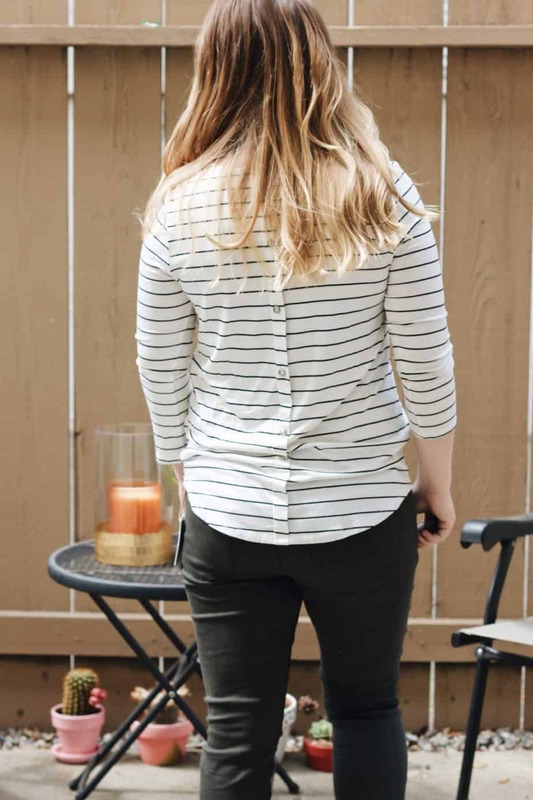 Even though I wear basically the same thing each day – jeans, blouse, and booties, I had a lot of clothes that were taking up space and definitely not being worn. So I took a look at my closet and got rid of the items I wasn’t wearing anymore! Now that fall is here, I wanted to give my closest a fun start to the season by scheduling a Fix. 1. Fill out a style profile – you will complete all sorts of questions about sizing, pricing, preferences, colors, etc. You can also write notes about likes/dislikes. 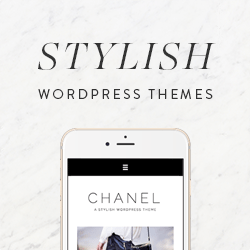 Make sure to link your fashion board on Pinterest so your stylist can see what you like! 2. Order your first fix! 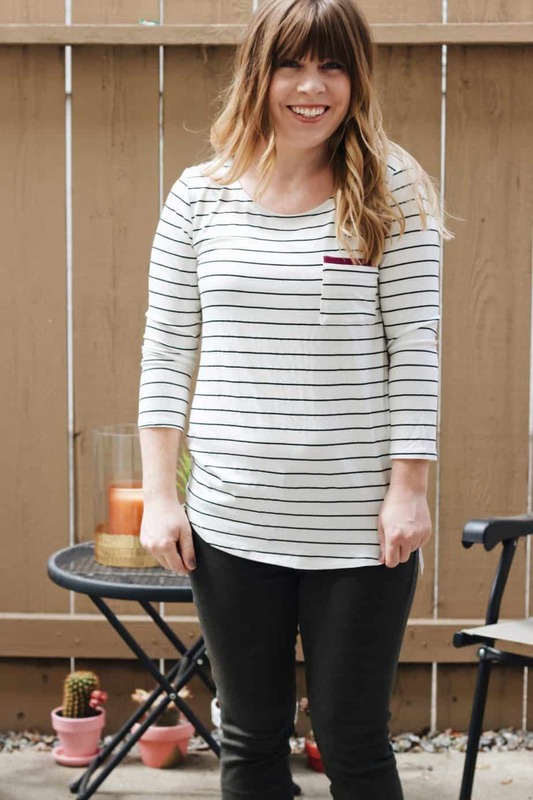 Don’t be discouraged if you don’t see your ideal Fix date, Stitch Fix is pretty popular! So I suggest picking a delivery date of your choosing and patiently wait. Your card will be charged a $20 styling fee (about 1 week before your Fix is shopped) however if you keep any item (one or more) your $20 will be credit towards the purchase(s). Because of this I always recommend keeping at least one item or you are essentially giving away $20 for nothing in return. You will receive 5 items (made up of clothing, jewelry, and handbags…and now shoes). If there is anything you don’t want to see in your Fix (bottoms, shoes, jewelry, etc.) let your stylist know! 3. Decide what you want and what you want to send back (in a postage paid envelope)! You have 3 business days to do so – use this time to try everything on, see what you have in your closet that pairs well with it and don’t be afraid to say yes to something that you wouldn’t normally. The best part of Stitch Fix is being able to try the clothes on in your house. See if something you would have originally said NO to would actually be a YES! 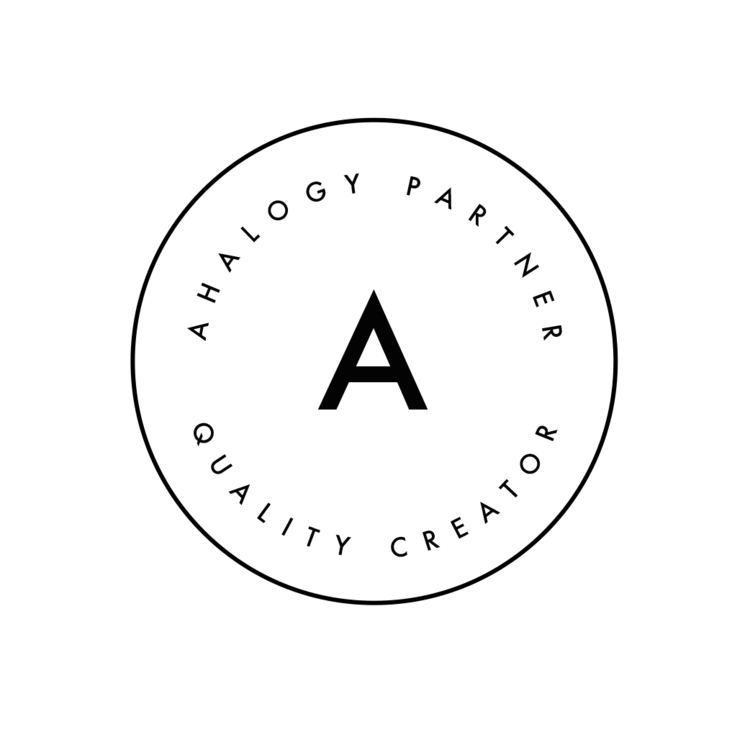 Just a note, this is not a subscription service. You are under no obligation to continue your Fixes or set them on automatic. You can schedule your next Fix when you are in the check out process of the Fix you received. I was so happy with this Fix! It felt like”fall” was finally here and the pieces are transitional for the season. Even though I am sure we are going to get some really hot days again, I was pleased that I could wear some of these items this month. I kept the whole Fix! 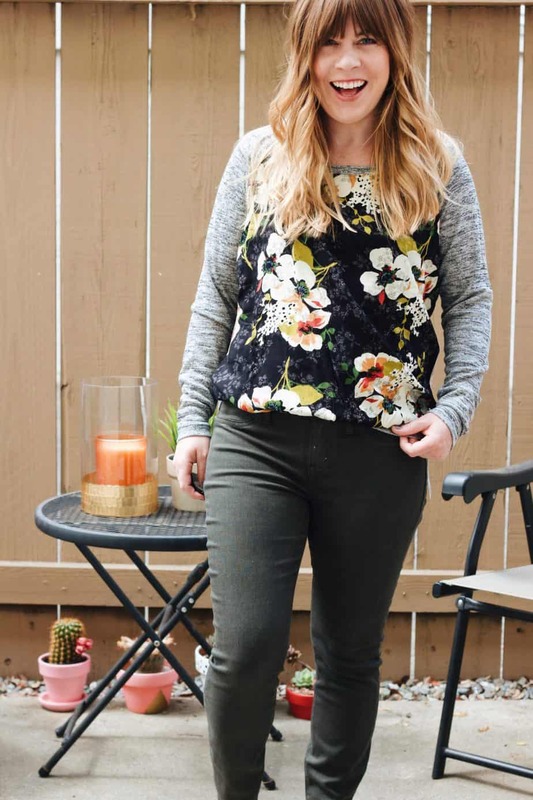 There were three items that I loved the most – Lila Ryan jeans, Benter Mixed Material Top, and Anica 3/4 Sleeve Knit Top, but it was financially beneficial to keep all 5 items to get the 25% off. 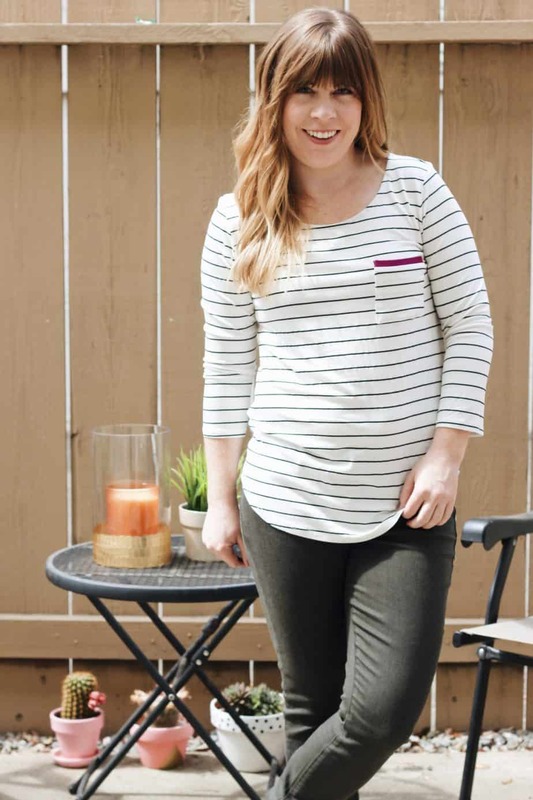 Love these items, but don’t want to try Stitch Fix? I found similar items so you can recreate these looks! 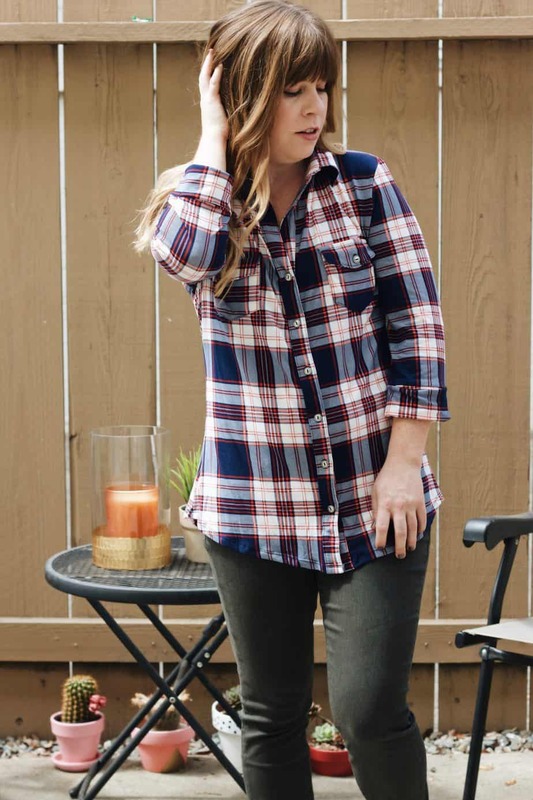 A lot of items found at Stitch Fix are either in-house brands or exclusive items. So even if you ask a stylist for these specific items, you may not get them in your Fix! Bummer, but think of it as a retail store. They sometimes sell out or don’t have your size. If you are thinking of using Stitch Fix, I hope this helps you get a better understand of what type of clothes they carry! That floral top looks great on you! 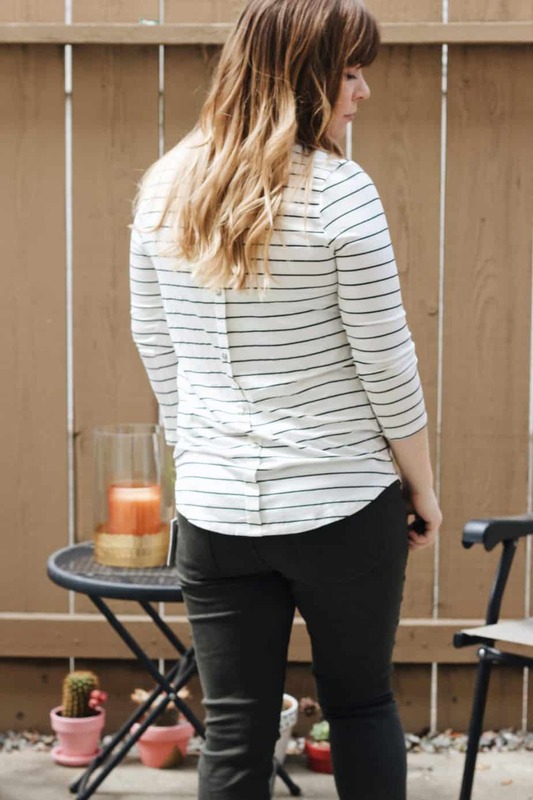 I love the fun details in the Papermoon top with with pop of color and buttons down the back. Great Fix! I agree, my stylist really got it right for this fall Fix. The buttons down the back was the real winner!! I loved your fix! 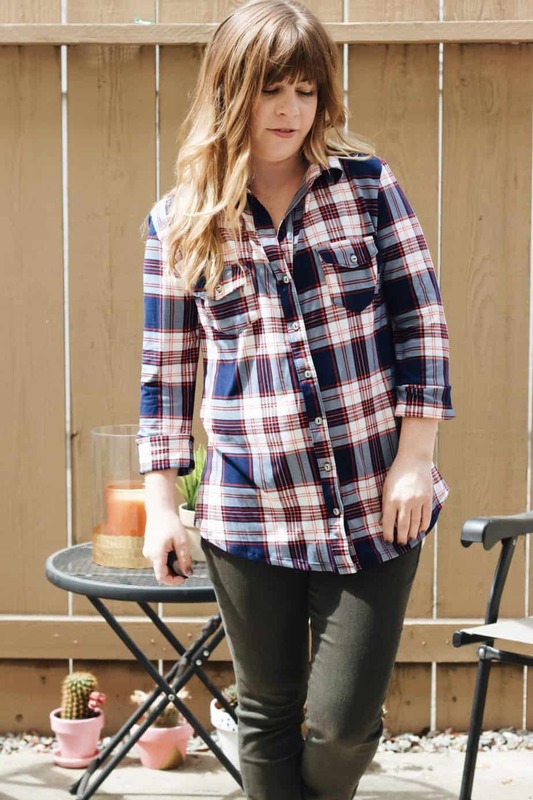 I actually just got the plaid blouse in my fix this month and was trying to decide if I should keep it. It looks adorable on you, and I think I’m going to try again before I decide what to send back tomorrow ! Thanks Lori! The plaid top was so soft! It’s going to be perfect for an outfit with jeans and booties. Or even left open with a tee underneath, paired with joggers! All of these are super cute! Love them all! These are super cute outfits! 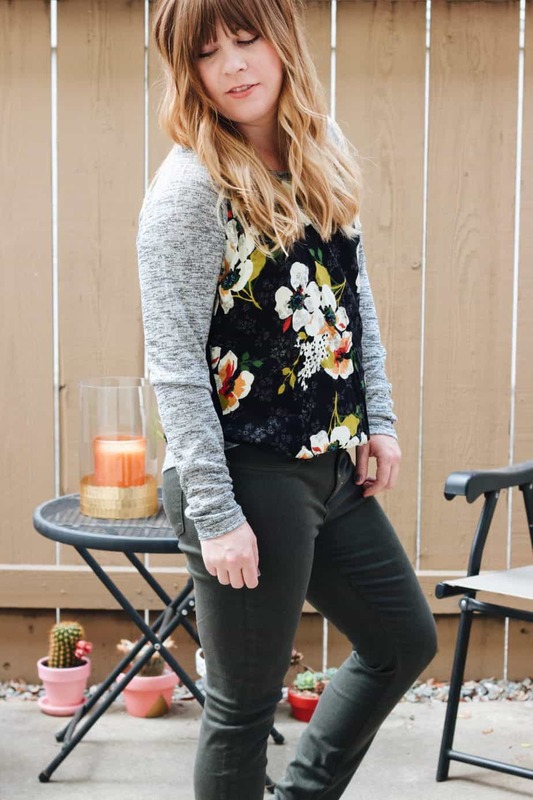 Stitch Fix nailed it! We’re new to Stitch Fix so its nice to see that you’re happy with your services. I agree, my stylist totally rocked it! It’s all so cute! I have actually never tried Stitch Fix before. Ah, give it a shot! It’s a great way to get a fresh update to your wardrobe! Wow I’ve never heard of this service. I certainly do NOT need new clothes but every so often I feel bored with what I have. Will definitely check it out. You should definitely try it out! I would love to hear what you think of their service! I found that these price are comparable to where I normally shop, Nordstrom. 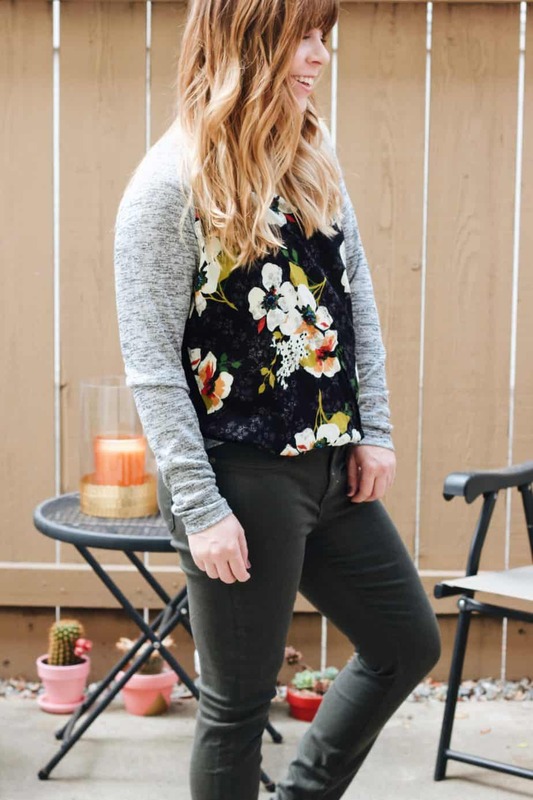 But with Stitch Fix, I can get cohesive outfits! The first shirt is pretty cute and unique. I love the dress too… and it’s really flattering on you! Thank you so much Esse! !